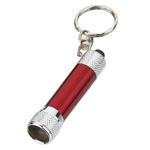 Flashlight with super bright white LED light and swivel keychain. Convenient push button for easy operation. Flat rectangular body with silver trim. No six black spots seen on the imprint area. 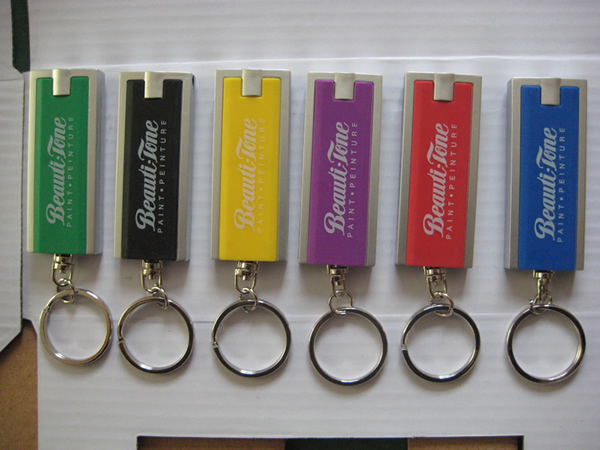 Great gift for key holder, key tag, key chain, key ring, safety, emergency and travel.